I still haven’t created my youtube channel trailer yet, but, in other news, doesn’t the blog look an awful lot better? I’ve been tweaking the content of more static pages, links, design and the general layout these past few weeks. And it has finally started looking less cluttered and more organised. I’ve even embedded a youtube video about #SatSunTails in the bottom right hand corner along with a band of other videos you can click to on my youtube channel. 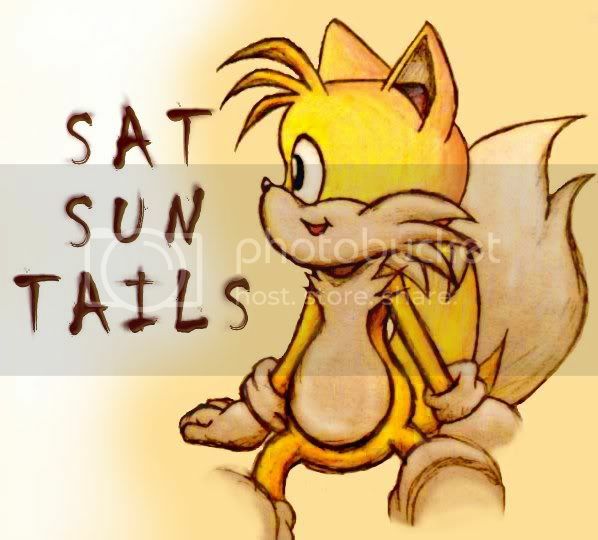 I’m hoping to start up #SatSunTails again as soon as possible, so watch this space. I’ve started using my facebook fan page more often too. It’s the quickest place to visually update & send my photos to my twitter page without having to have one of these extra services like instagram. Although I like the idea of instagram it would just mean yet another social media platform to join. A lot of my internet hangouts seem to have died recently. Dailybooth is gone and formspring is disappearing too. There’s an easy replacement to formspring in ask.fm but how viable it will be to keep an account, I don’t know, as I rarely received questions on formspring and they are extremely similar sites. The likelihood is that, even though I have finished the overall readjustment of the blog, things will still be tweaked here and there. Either way, I’m sure the changes are probably only exciting to me. I may also tweak the #SatSunTails post format before I relaunch it. Anyway, I hope you all enjoyed the May Day bank holiday. I know we did. I had the day off work so we both decided to go for a nice long walk and eat lunch in the sun afterwards, which was great. It’s so much nicer being able to do these things whenever we want to do them. Unfortunately, today is much gloomier and Howard is back at work. Most of my week is taken up by work so don’t be worried if my presence is a little intermittent until I’ve sorted out exactly when I’m going to have definite post days again. Obviously, #SatSunTails has to be a weekend competition, but I may change the overlapping day to Friday instead of Monday. Whatever happens you will all be notified. Also, I’m still completely open to suggestions for my youtube trailer thing I have to do. More updates later! Previous Previous post: It’s Been A Month!